Free Giveaways from Sheila Walsh • Run Hard. Rest Well. The featured image is used with permission from Harper Collins Publishers. The original image can be found here. I have never met Sheila Walsh, but I would enjoy some time in her company. She loves Jesus. A lot! Quiet comes to us in all kinds of ways. 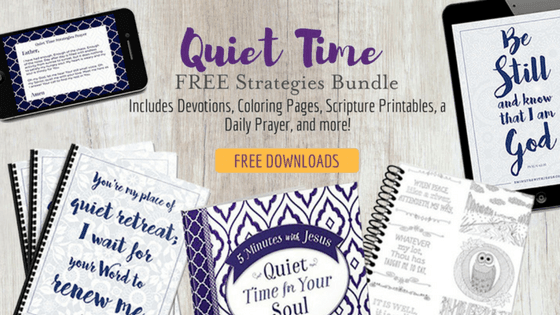 As you take time to “breathe” this summer, Sheila’s resource pack might be a blessing for you . . . or someone you know. Those resources sound like just what the Doctor ordered! If I don’t win, I will check into them for myself & a friend. Even if it is just in 5 minute breaks. Watching the sun dance in the leaves in a great way to Take Five! Thank you so much. I listened to her testimony and was so blessed and encouraged. God heals the deepest wounds of our heart, often in way we least expect. Oh man! Maybe the link timed out. I will check. Note: I DID have to give them my email address. From there, they sent me a link. Did you find a sign in place? I was able to get the downloads. I did have to give my email because the giveaways come in a separate email. You are also enrolled in her daily reading/blog, but you can unsubscribe to that if you don’t like it. Once on her site, I listened to her story which will be in her new book if I understand correctly. It is a very powerful and vulnerable testimony of our powerful God. I did have to start from the Internet and not just from your site. It was a bit confusing. But if I could do it anyone can. My precious friend, there is always hope. Even for old folks like me.